Growing up, there was one time where we were allowed to eat cake for breakfast. The day after our birthdays. Often times, a sleepover had occured the night before so pajama clad girls would head to the leftover cake, ready for yet another sugar hit. I don't know about you - but I often find that cake tastes better the next day. Especially banana cake. I also like cake that's been in the fridge so it's moist and dense. That's probably the reason I'm so obsessed with these Banana Bread Breakfast Bakes (and my Chocolate Protein Breakfast Bakes). Whether you eat them warm or chilled - they're incredible. You won't believe for a second that they're healthy, and you'll feel like you're indulging in cake for breakfast just as I did all those birthdays ago. 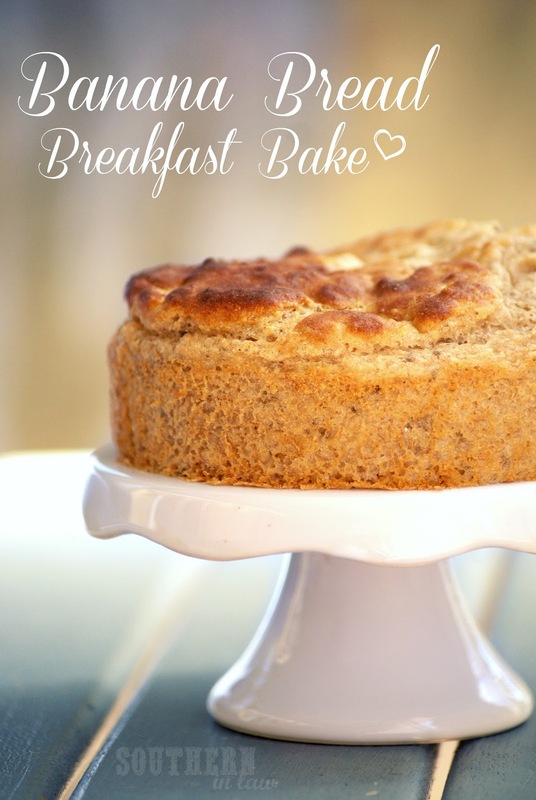 These Banana Bread Breakfast Bakes (If that's too much alliteration for you, we also call them Banana Breakfast Souffles) can be made gluten free, are low in fat, clean eating friendly and have no added sugars or sweeteners! Meaning you can eat them for breakfast every single day and not feel the slightest bit guilty! But don't limit them to breakfast! If you're a fan of a sweet lunch or breakfast for dinner, you can eat them then too! This past weekend I actually headed out to some meetings and suit fittings with Jesse around lunchtime, so I left with my breakfast bake, topped with cream cheese "fauxsting" (cream cheese mixed with a dash of maple syrup - tastes like frosting!) and a tea to go and devoured it in the car. Wait... you're trying to tell me that's not normal? Psh! More often than not, my breakfast bakes are topped with a dollop of nut butter - but you can add whatever you like! Preheat your oven to 180°C/355°F. Choose whether you will use individual ramekins/baking dishes (I use mini springform tins or ramekins), muffin tins or a regular loaf/cake tin. Grease/line your chosen dish ready to pour in your batter. In a large bowl, mash your bananas and mix in your yogurt, egg whites, applesauce and vanilla. Mix in your flour, flax/chia, baking soda, cinnamon and salt and stir until just combined. Pour your batter into your dish(es) and place into the oven. For individual bakes: mine usually take about 20 minutes to half an hour - keep an eye on them and take them out once a skewer inserted removes clean. For a cake/loaf: I tried baking in both a cake tin and loaf tin and it took around an hour - keep an eye on them and take them out once a skewer inserted removes clean. Serve warm, chill in the fridge or place into zip lock bags to freeze. So tell me, do you like cake better the next day - or fresh out of the oven? Want more breakfast bakes? Check out my Chocolate Protein Breakfast Bakes, Baked Banana Oatmeal and Banana Buckwheat Bakes. I like cake when it's just out of the oven AND the next day (; This looks so yummy and just the thing I could take to eat on my way to work! I think I'm going to have to make this! Haha - now I like how you think, Aimee! This would be perfect for you! 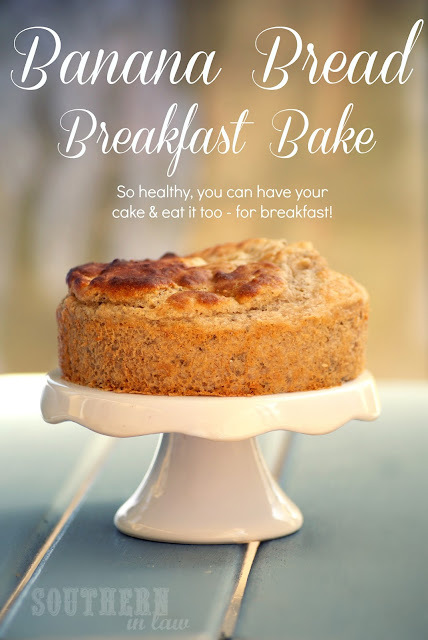 I always have breakfast bakes waiting in the fridge (I make big batches and freeze them - and then just thaw them overnight in the fridge) when I need a grab-and-go breakfast. That sounds yum to me - but roast vegetables never last that long around me, haha! I like to bake banana bread or muffins at night and store them in tupperware so that they've developed a sweet sugary film on top by the next morning. They're so much better the second day like that! Yummmmm! You are so right! That is the best part about banana bread or banana muffins! They're one of my favourite breakfasts at the moment - and they smell so good baking! I feel like I should let you know that I am ADDICTED to these. I think I have eaten one for breakfast the last five days in a row. Each serving seems so enormous that I cannot believe I get to eat an entire one myself; it is glorious. I toss a few tablespoons of cocoa powder into the batter to make them like chocolate banana cake, and that is exactly what they taste like--it is incomprehensible that there is no butter or sugar. Plus, I never get hungry again until lunchtime. Thank you for making my life so awesome. Oh Carly, YOU are awesome - and thanks so much for leaving a comment! You put a big smile on my face! I am obsessed with these too, so I am so glad you love them! I'm actually waiting on bananas to ripen up so I can make another batch - and I'm definitely going to add in some cocoa powder! Yum!